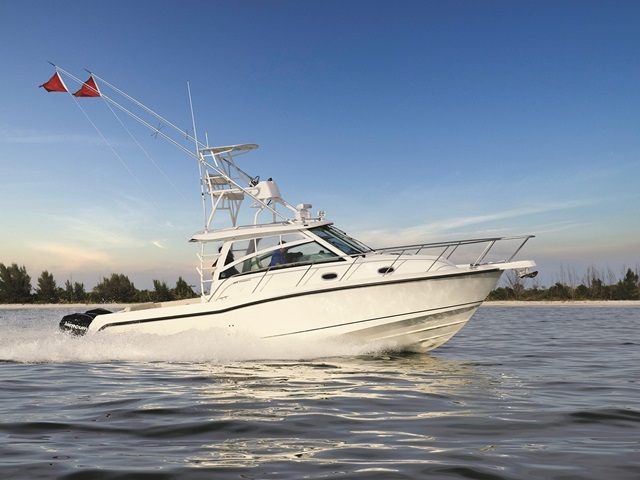 Meet the Boston Whaler that re-imagines the possibilities for onboard space: the 2014 Innovation Award-winning 345 Conquest. 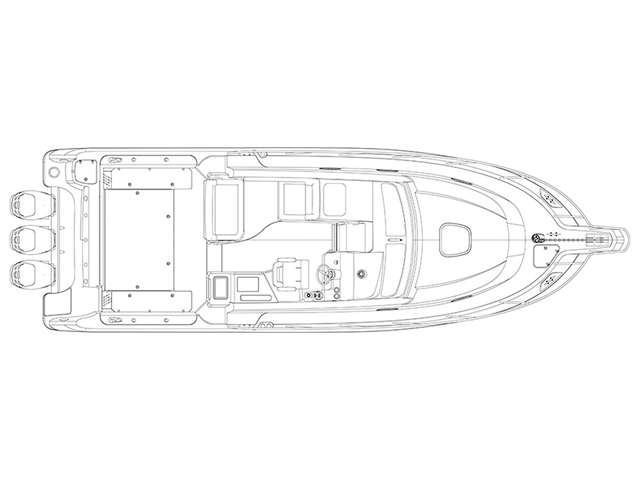 No other boat for sale today is quite like it. 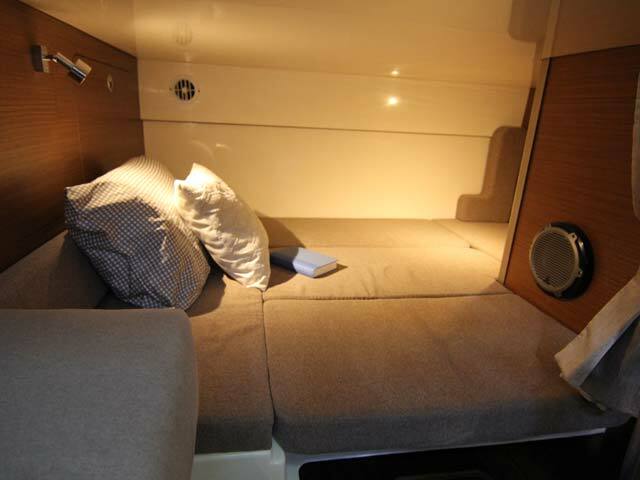 Its cabin innovates with customizable storage, a sophisticated galley and head and the Dynamic Cabin System—a forward-berth dining table that seats six adults, and converts automatically into a plush queen-sized bed. 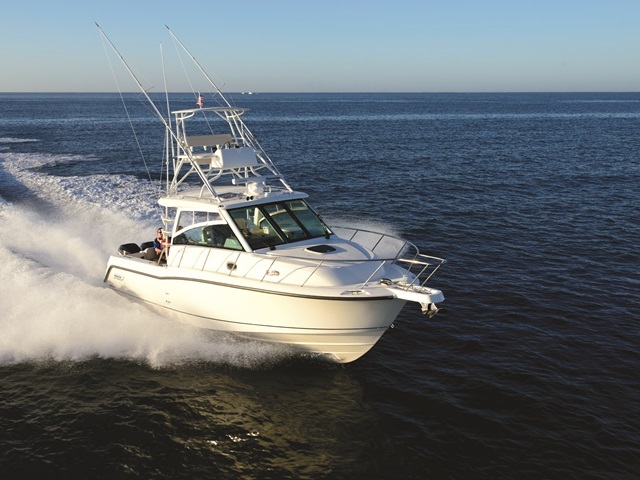 The spacious helm area includes a generous rear-facing companion seat, reversible aft seat, skylights, a well-equipped food prep station and more, all but ensuring the captain will never cruise without company. 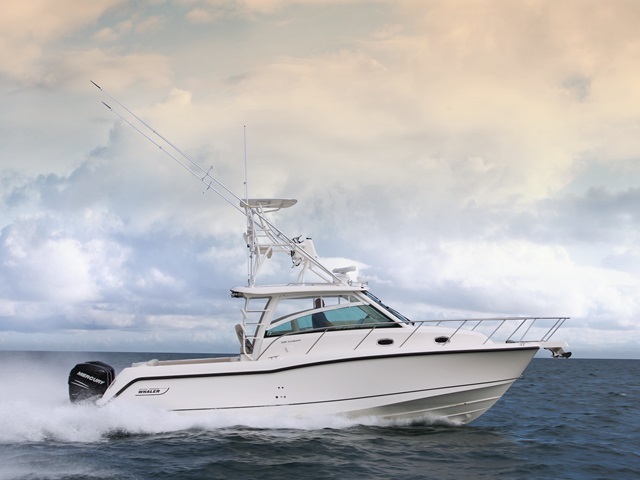 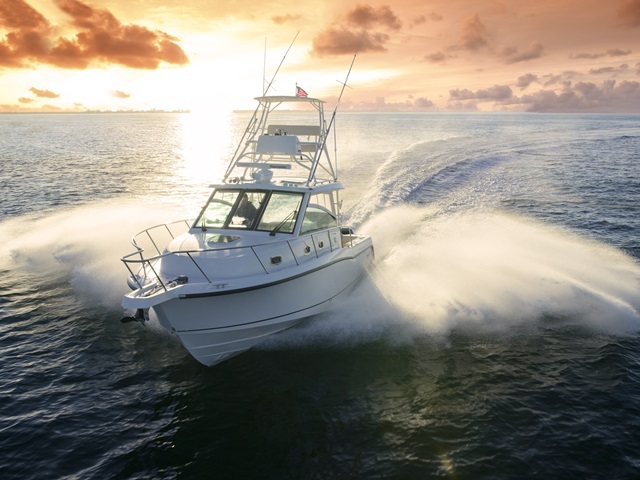 Yet as comfortable as it is, the 345 Conquest is also a serious offshore fishing boat, with amenities and options like a bait-prep station and an available upper station. 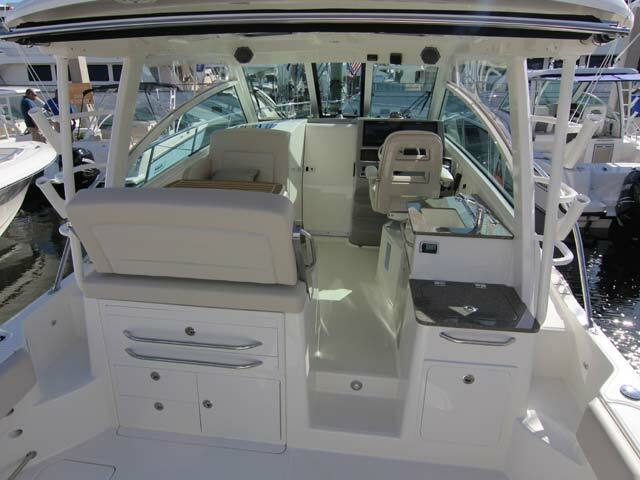 And new Mercury Joystick Piloting means effortless docking and precision maneuvering. 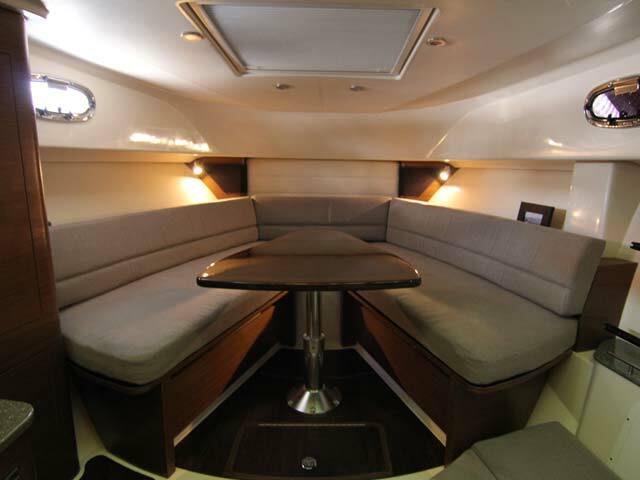 Step aboard the 345 Conquest and see how smart onboard space can be.